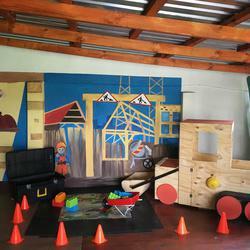 Click here for more information on mobile playhouse party hire. Our lovely party venue is the best place to have fun! No matter what the weather we have the solution. 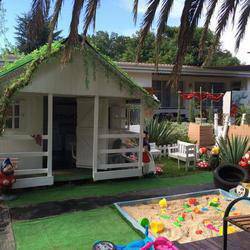 - Mini Café with all the toys and accessories. Please note that a swimming pool is on this property. It is covered with net but is available for use at an additional fee. There is no limit to what we can do for you. 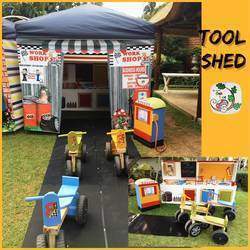 We have a variety of party play houses to choose from namely; House, Tool shed, Garden shed and Restaurant - full day hire. ** Free delivery within in 30km's. Please contact us for a complete price list.